Today we catch up on a couple of our weekly watches: “Hawaii Five-0,” the reboot of the classic cop show on CBS, and “Chuck” on NBC, one of the geekiest shows on television. We harbor no illusions that “Five-0” is a gripping, original cop show, and Jen only watches when she’s in the mood for its particular brand of melodrama. Scott Caan is the standout star, and his chemistry with both Alex O’Loughlin and Claire van der Boom makes for some great scenes. We only wish Daniel Dae Kim and Grace Park had more interesting things to do. Still, we’re having fun, and we loved the first season finale. As for “Chuck,” once a reliable laugh-out-loud pop-savvy comedy, we lament the developments of the latest season, in which a colorful ensemble has taken a back seat to a fairly weak romantic pairing that was far more interesting before they were a couple. The series has fought for its life before, and we hope the writers fight to bring it back from the brink of boring. Where will the second season of “Five-0” pick up? And what truly original plot twist could save “Chuck” next fall? This entry was posted by Ryan on May 30, 2011 at 3:04 pm, and is filed under Podcasts, TV. Follow any responses to this post through RSS 2.0. You can leave a response or trackback from your own site. I just caught up on the last 5 episode of H5O this weekend. Such a great show, but yes you do need to be in the mood for it. I watched one episode over and over three or four times because I wasn’t paying attention, but knew there was some important info to the story arc that I needed to see. It’s going to be interesting to see how they develop the plot line next season. How are they going to get themselves out of this mess?! Oh and I have to say I love Alex O’Loughlin! He is awesome! He was great in “The Back-Up Plan”, too bad the movie itself was a dud. I’m a big fan of Chuck also. This past season could have been better but overall it was OK. Next season should be great. Morgan as the new intersect! Chuck and Sara are rich! A rouge spy agency! Can’t wait to watch the final season. Thanks, Megan, for your comment! “Five-0” is an acquired taste, and I know lots of people that just can’t take it. For me, it’s enough that I like most of the characters and the scenery is my home. I just hope Daniel Dae Kim never has to say “Bing It!” again. We’re skeptical of the twists introduced for “Chuck.” Having unlimited resources makes it hard to feel like anything’s ever at risk. Then again, “Fringe” did the same thing, and it worked out. Still, making Chuck’s sister the Intersect would’ve been more interesting than Morgan, who’s essentially a junior Chuck. I don’t know why everyone is rushing to say that Chin (in 5-0) is screwing Steve because he arrested him. Chin could just as reasonably be proving to the HPD that he can be trusted while still working in Steve’s interest behind the scenes. I almost don’t care what they do to as long as they give her things to DO. I come 5-0 to Leverage, another show with multiple protagonists, but one where everyone gets to shine each episode. Sometimes I feel like Chin and Kono are red shirts. Ryan and Jen, couple of possibilities for TV Tuesdays are “The Killing” and “Game of Thrones”. The former started out very strong, bogged down in the middle and was better this past Sunday as it closes down the season. I’m not sure if it can sustain a 13 week murder mystery in the future, nor whether it will be renewed but if the writing gets better, this could be a winner. Would love to get your take on Game of Thrones. It is really well done and I’m not a fantasy person so it took a little bit to get me hooked but I’m in lock, stock and barrell! Thanks, Cat! “The Killing” has to be one of the most recommended shows this season, and we’re bummed we didn’t tune in. May touch on it on Friday. We’d probably be watching “Game of Thrones,” but we don’t have premium cable, and couldn’t get it if we wanted to. Guess we need to wait for the DVDs! Wow. Where are people rushing to judgement on Chin? I would only assume he’s up to something, and feels the best way to help will be from inside HPD. But yes, Chin and Kono are barely the merry chorus. Here’s to a more well-rounded ensemble in Season 2. 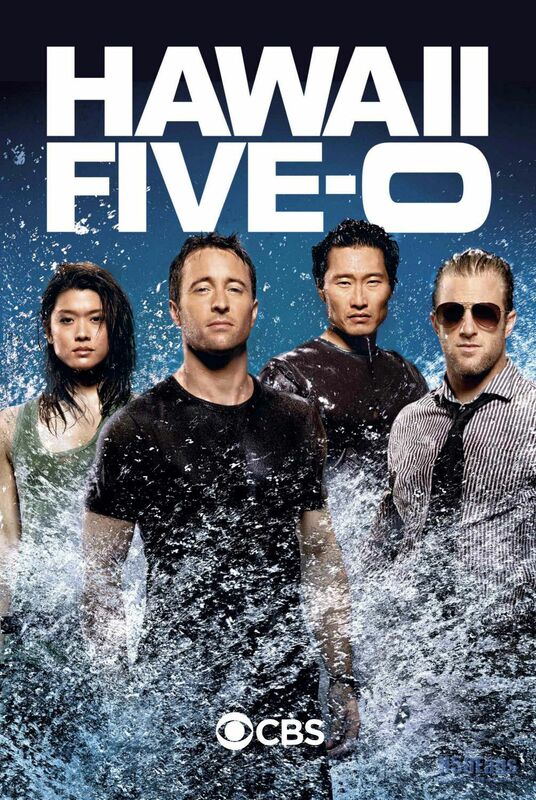 I had high hopes for Hawaii Five-O but have struggled to get thru the season. DDK and Grace Park need much more substantial roles. The banter between Scott Caan and Alex O’Loughlin got old really fast – same thing each week. Enough already! But still, I will watch to see DDK and beautiful Hawaii. I’ve watched a few episodes of the original series that I saw as a kid. It was one of my Dad’s favorite shows. Boy, it sure seems hokey now.